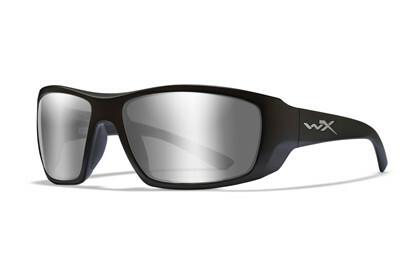 One of the darker lenses Wiley X offers. Multi-coat, Z-Oxide mirror on smoke lenses. Reduces glare. Excellent on bright days. Absorbs all colours equally which preserves the same colour perception as without sunglasses. The polycarbonate lens is shatterproof and the surface is protected by scratch resistant layers. Light transmission: 12%. Blocks 100% of the sun’s harmful UVA and UVB rays. The stealthy Matte Black Frame in combination with the “silver” WX logo and the silver mirror will turn heads no matter where you go. Rubber injected nose piece for optimal grip and comfort.